League of Geeks' flagship game shows a great deal of promise as it goes out to early access. 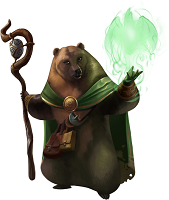 Armello is a video game which bases itself in board game principals where four heroes, a wolf, rat, rabbit and bear, compete for their clans to secure the throne. The goal is to gain more prestige points than your opponents by the time the king dies of his illness, or to smite him yourself. The game has three methods of doing this, and takes familiar elements and mixes them in ways that work extremely well. The fact that the characters are anthropomorphic is icing on the cake of a solid game. If there is one scale that defines all board games it is how much is winning based on luck and how much is it based on strategy? Chess, for instance, is all strategy. Chutes and ladders, on the other hand, is all chance. The former was probably designed with the idea of military tactics, while the "ladder" was a religious metaphor of sins, virtues, and fate. Of course a majority of games are not so binary. Monopoly, for instance, has a luck based movement system, while the choices you make in trade and property is the element of skill that can make the difference between failure and victory. Or take a video game example, Pokémon, where the strategy is making a team that is diverse in element and role, while chance determines the chance to miss an attack or land a critical hit. Armello, like the above examples, falls in this grey area. All characters have a base movement of three "Action Points", so movement is all up to the player. Combat, however, is based on "Weighted Luck"; sort of like Risk's combat system, only far more robust. The luck in combat is weighted because the number of dice one gets to roll is based on their character's "Fight" rating. Of course, being a sort of role playing game, things such as equipped items, cast spells, even the time of day can tweak this number. The female characters get a +1 fight during the day, while the male characters get a +1 fight at night. Before attacking your opponent you need to weigh all these factors. The most insane of these fight modifiers is Rot, which can have a huge effect on the number of dice one can roll. If a fighter has greater Rot than their opponent they get +X fight where X is the number of Rot their opponent has. So if it's 8 Rot VS 7 Rot the one who has 8 gets to roll 7 extra dice! However if the same 8 Rot person attacks a pure person with no rot, they get no bonus at all. Once I understood this mechanic, and that the dark raven monsters that wander the board are called "Banes" I couldn't help but make this particular joke. I also kind of chuckled at the inadvertent statement this mechanic made about morality in this particular world. If one is pure, they want to try to stay pure. However after a certain number of Rot it's best to just try one's hardest to become as corrupt as possible so they can dispatch evil by being more evil. One does not want moderate rot, because they make themselves the most vulnerable to the pure and evil. Being a shade of grey in this world is not as desirable as being pure or supremely corrupt. Another way combat is weighted is that you can use your cards in your hand to make the dice a particular value by burning them for the symbol. In this way you can try to add more offense and defense without having to risk it by luck, but to do so you lose the ability to use the card. Combat is won by the survivor, or the person who does the most damage if both are still alive. There can be draws where either no one does damage, or even where both kill each other. The punishment for dying is losing one Prestige point and going back to your spawn corner. Above I talked about the weighted luck of the combat system, and it took several paragraphs to do it. However, I assure you, as you play the game yourself and start playing a few games you'll grasp intuitively what I tried to convey to you by talking your ear off. As you play you'll learn more about the nuances - the complexities that the more astute player knows, but which don't ruin the experience for spectators or new players approaching the game. When talking about games, simplified complexity is a very important concept. A game needs to be approachable, but at the same time have enough depth to make the more skillful feel that their knowledge is what gives them the upper hand. Pokémon: Knowing what EVs and IVs are, and how they impact an individual Pokémon's potential. At first these were numbers that kept under their hat. Lately they've been using subtle and unsubtle ways for players to see them. Monopoly: There are two types of Monopoly players. Those that know the Orange properties are more valuable for the dollar than Boardwalk and Parkplace, and those that don't. Why? They are about 7 spaces away from "Jail" the most common place for a piece to start a turn from. 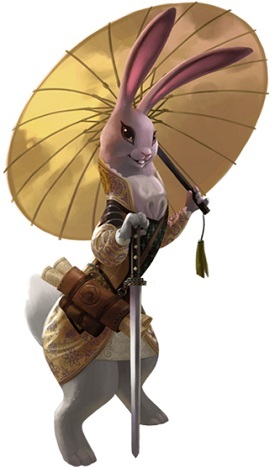 Likewise, in Armello, you have all of these basic systems that people understand: cards, dice based combat, etc. But what actions the player takes to ensure they're utilizing these resources to their greatest potential is what will separate the good player from the novice. Which cards do you use, which card do you burn, and which do you save for a rainy day? The cards you get are chance; how you use them is skill. The randomly generated board is chance; the way you navigate it is skill. In this, Armello has the foundations of a great competitive board game. The relative concept of the game is easy to grasp, and yet there is a depth to it. I know there will be those in the future that pull off some crazy moves, and they will start to play with others that will do the same. It'll be fun to see what type of strategies they develop against one another. Ironically the biggest praise I have for this game is one simple factor which has become more important to me as an adult: time. A game of Armello takes around a half an hour. I feel that a lot of hex based strategy games and board games take too long. I love you Civilization, but between 50-hour work weeks, my writing of Flayrah articles, and being a fiction author now, I can't spend a whole day playing one game from start to finish. With a game that's more bite-size like Armello, I can play a game through to the end in one sitting. If I then decide to play it again, then I can. I think this is a big thing with games that are multiplayer. Games that take way too long will require multiple people to schedule their time around playing a 50-hour game. Schedules are no fun! That's why most board games, and multiplayer games in general, need to be quicker. The biggest critique is probably dealing with weight and balancing issues. Particularly the cards that give you the ability to scout are typically not worth their cost. There are also a few cards that are useless to certain strategies and there is a chance that once in a while you'll get a card you can neither use, nor burn advantageously and thus be stuck in your hand. Perhaps a magic card that will change a symbol on a card you hold to a sword/shield will help this. As the cards that tend to get stuck are those with Rot or Wyld symbols on a character where the particular symbol will not "explode" (be counted as an attack +1 free roll in combat). An equippable item that will turn burns that cause "misses" into shields could also work. Perhaps my ramblings were a bit technical for a review, so much so that I probably lost people that just want to know what Armello is. To put it bluntly, it's a game that has me quite excited, so much so that I'm thinking about its solid mechanics and wondering how the tweaks in the future will affect gameplay. They already have more heroes from the base four in the works for future content. Armello has the potential to have a lot of staying power. It is simple, but deep, and has an aesthetic that many furry fantasy fans will adore. Set to release in March 2015, my experiences with the alpha, the beta and the early access tells me this game will surely get a nomination in the 2015 gaming Ursa Majors, and should not be overlooked by furry gamers – or board game fans in general. It's a slick toon-style which is timeless and will age rather well with the game while making the pieces feel lifelike and keeping player immersion. It serves as very well to keep the play engaging, the animations are quick and flow well without every overstaying their welcome. Oh, don't get me wrong, I was just teasing; still a good review, though, admittedly, this is nice comment/addendum. It was kind of something I noticed lacking myself after it was published, even before you had commented on it. I literally backed it only to get the lossless soundtrack. With all this artwork, I do not forget that this is a tabletop game with card battles. I think many people don't realize that. ... also, it's "heroes", not "heros".